Subdivision Lots, House and Lots; Lot Area: 78-270 sq.m., Floor Area: 34-55 sq.m. 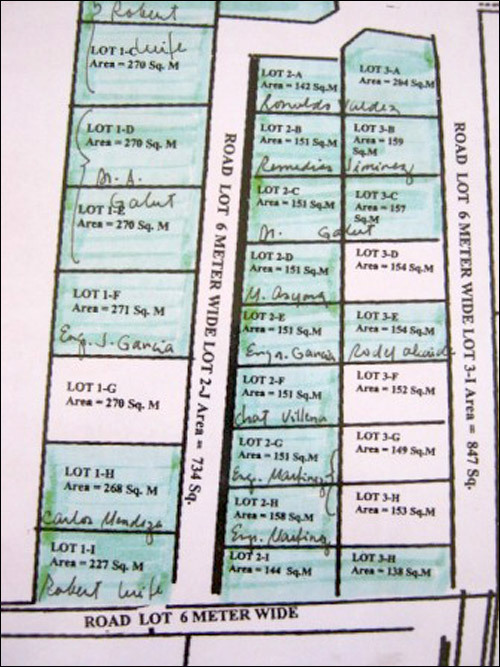 Affordable residential subdivision lots in 78-270 square meters area are available for sale. House and lots like 2 storey duplex or bungalow with modern designs (shown in photo) are also available. Can be financed thru Pag-ibig or in-house financing services (Please see sample installment computations). Subdivision is located in the peaceful and quiet City of Candon near the national highway and the city hall. Lots are accessible to electricity, deep well or local water district supply, landline or cellular phone and internet connection. A private elementary school is being built and a college is about to be erected inside said subdivision. Lot area = 36 sq.m. Floor area = 55 sq.m.